Vetter Air, LLC. 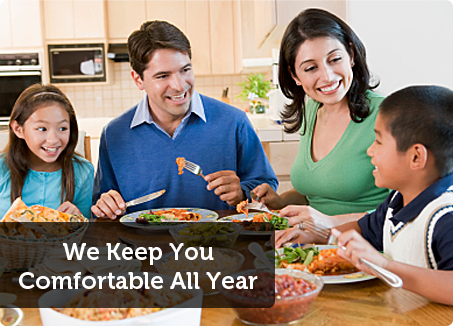 is a family owned and operated company that provides San Antonio and New Braunfels HVAC services. We offer a full range of air conditioning, heating, and ventilation service & installation in San Antonio and the surrounding areas. Our uniformed service technicians are skilled, professional, and courteous. You are sure to be pleased with the work they do in your home or office. Contact us today to learn more about our San Antonio and New Braunfels air conditioning repair and service packages. Vetter Air also has a commercial refrigeration department that can help keep your company’s coolers, ice machines, and freezers in top-notch condition. Call today to schedule commercial refrigeration service in New Braunfels. Our team uses vans that are outfitted with high-end GPS devices for quick response times. They also take pride in completing most jobs on the first visit. We at Vetter Air look forward to serving you. Have You Replaced Your Air Filters This Season? Quality Service, Craftsmanship, & Performance. WE SELL AIR FILTERS!!! COME ON BY or CALL FOR SIZES AND PRICING. We carry hard to find sizes or can get them fast.We Moved! We are by the New Bruanfels Police Department at 178 Trade Center Drive off FM725.